1. The Bureau shall carry out the duties assigned to it under the Rules of Procedure. 2. The Bureau shall take financial, organisational and administrative decisions on matters concerning Members and the internal organisation of Parliament, its Secretariat and its bodies. 3. The Bureau shall take decisions on matters relating to the conduct of sittings. 4. The Bureau shall adopt the provisions referred to in Rule 31 concerning Non-attached Members. 5. The Bureau shall decide the establishment plan of the Secretariat and lay down regulations relating to the administrative and financial situation of officials and other servants. 6. The Bureau shall draw up Parliament's preliminary draft estimates. 7. The Bureau shall adopt the guidelines for the Quaestors pursuant to Rule 25. 8. The Bureau shall be the authority responsible for authorising meetings of committees away from the usual places of work, hearings and study and fact-finding journeys by rapporteurs. Where such meetings are authorised, the language arrangements shall be determined on the basis of the official languages used and requested by the members and substitutes of the committee concerned. The same shall apply in the case of the delegations, except where the members and substitutes concerned agree otherwise. 9. The Bureau shall appoint the Secretary-General pursuant to Rule 197. 10. 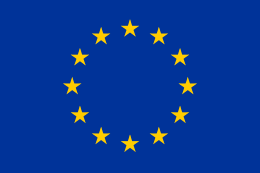 The Bureau shall lay down the implementing rules relating to European Parliament and Council Regulation (EC) No 2004/2003 on the regulations governing political parties at European level and the rules regarding their funding and shall, in implementing that Regulation, assume the tasks conferred upon it by these Rules of Procedure. 11. The President and/or the Bureau may entrust one or more members of the Bureau with general or specific tasks lying within the competence of the President and/or the Bureau. At the same time the ways and means of carrying them out shall be laid down. 12. When a new Parliament is elected, the outgoing Bureau shall remain in office until the first sitting of the new Parliament.